I started at Duke from a young age, as part of the TIP program, from seventh grade. While I always knew that I wanted to be at Duke, I didn't know what I wanted to learn. I started studying economics, but realized that wasn't where my heart was. What I was most curious to learn about at the time was the globalization taking place in the late 1990s. It was the first time I was hearing about foreign economies driving our own, and as a turban-wearing Sikh from North Carolina, how various cultures and communities influenced each other was particularly fascinating to me. Duke gave me the ability to design a curriculum around international business and globalization, which is a “major” I designed myself as a part of Program II, under the guidance of Professor Robert Keohane, one of the leading minds in transnational relations. This process was the first step to a level of empowerment that has led me to become a multi-time entrepreneur, and changed the course of my life. While at Duke, I received the support of the administration to start Students to Unite Duke, and applied for funding to organize social events that created diverse, multicultural, and fun environments on campus that helped break down traditional social barriers. Through a Duke travel grant, I was able to study how various club cultures in Europe could help facilitate more diverse communities and culture-sharing at the university. That experience partially led me to participating with the globally renowned Thievery Corporation as a musician myself, and on albums that have sold hundreds of thousands of copies. Since that time, that pursuit of understanding internationalization has led me around the world as an Internet entrepreneur, model, and musician. 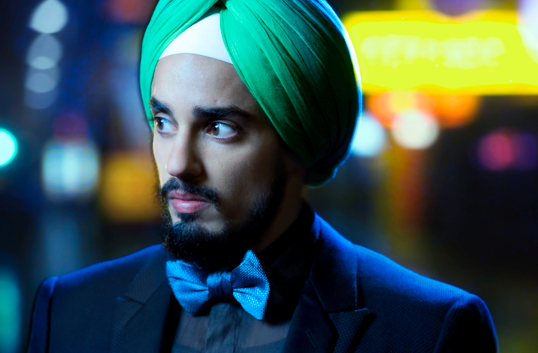 I’ve earned a law degree from Georgetown University, have studied at Oxford University, and am widely recognized as the world’s first Sikh model. Duke's Program II encouraged me to explore things I truly believed in, and helped me develop skills that have proved invaluable in life, from raising financing, to creating proposals that bring an idea to life, to public speaking. Today, I'm fortunate to have a wide variety of life experiences that are directly attributable to my time at Duke, and the incredible academic and social community it provides. Even more important, the freedom it gave me facilitated a truly amazing group of dozens of diverse friends from all walks of life, who to this day are as close to me as family.